This is the third in a series of blog posts examining the technologies that are driving the development of modern web and mobile applications. Part 1: Introducing The MEAN Stack (and the young MERN upstart) introduced the technologies making up the MEAN (MongoDB, Express, Angular, Node.js) and MERN (MongoDB, Express, React, Node.js) Stacks, why you might want to use them, and how to combine them to build your web application (or your native mobile or desktop app). The remainder of the series is focused on working through the end to end steps of building a real (albeit simple) application. – MongoPop. Part 2: Using MongoDB With Node.js created an environment where we could work with a MongoDB database from Node.js; it also created a simplified interface to the MongoDB Node.js Driver. 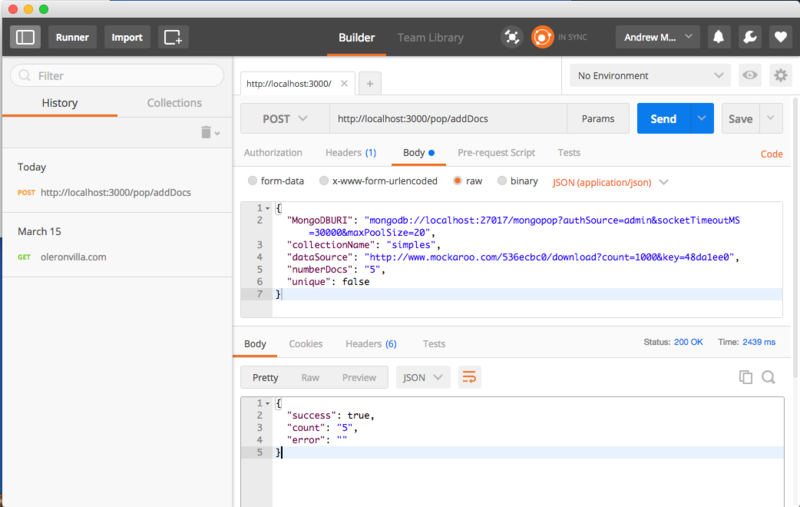 This post builds on from those first posts by using Express to build a REST API so that a remote client can work with MongoDB. You will be missing a lot of context if you have skipped those posts – it's recommended to follow through those first. A Representational State Transfer (REST) interface provides a set of operations that can be invoked by a remote client (which could be another service) over a network, using the HTTP protocol. The client will typically provide parameters such as a string to search for or the name of a resource to be deleted. No method is specified and so the curl command defaults to a HTTP GET. maps.googleapis.com is the address of the Google APIs service. /maps/api/place/details/json is the route path to the specific operation that's being requested. placeid=ChIJKxSwWSZgAUgR0tWM0zAkZBc is a parameter (passed to the function bound to this route path), identifying which place we want to read the data for. key=AIzaSyC53qhhXAmPOsxc34WManoorp7SVN_Qezo is a parameter indicating the Google API key, verifying that it's a registered application making the request (Google will also cap, or bill for, the number of requests made using this key). Mongopop's REST API breaks this convention and uses POST for some read requests (as it's simpler passing arguments than with GET). Returns the version of the API. Fetches the IP Address of the server running the Mongopop backend. Fetches client-side defaults from the back-end config file. Read a sample of the documents from a collection. Counts the number of documents in the collection. Express can handle the routing of requests to the right functions within your application (or to different apps running in the same environment). You can run the app's full business logic within Express and even use an optional view engine to generate the final HTML to be rendered by the user's browser. At the other extreme, Express can be used to simply provide a REST API – giving the front-end app access to the resources it needs e.g., the database. The application's Express code is included as part of the Mongopop package installed in Part 2: Using MongoDB With Node.js. What are all of these files? 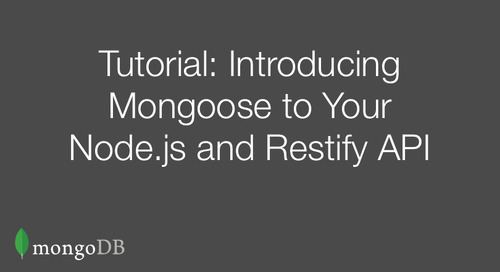 routes/pop.js: Contains the Express application for the /pop route; this is the implementation of the Mongopop REST API. This defines methods for all of the supported route paths. public: Contains all of the static files that must be accessible by a remote client (e.g., our Angular to React apps). This is not used for the REST API and so can be ignored until Parts 4 and 5. The rest of the files and directories can be ignored for now – they will be covered in later posts in this series. The config module can be imported by other parts of the application so that your preferences can be taken into account. expressPort is used by bin/www to decide what port the web server should listen on; change this if that port is already in use. client contains defaults to be used by the client (Angular or React). It's important to create your own schema at Mockaroo.com and replace client.mockarooUrl with your custom URL (the one included here will fail if used too often). This file defines the app module ; much of the contents are boilerplate (and covered by comments in the code) but we look here at a few of the lines that are particular to this application. This is the first time that we see how to send a response to a request; res.json(testObject); converts testObject into a JSON document and sends it back to the requesting client as part of the response message. The simplest useful route path is for the GET method on /pop/ip which sends a response containing the IP address of the back-end server. This is useful to the Mongopop client as it means the user can see it and add it to the MongoDB Atlas whitelist. The code to determine and store publicIP is left out here but can be found in the full source file for pop.js. 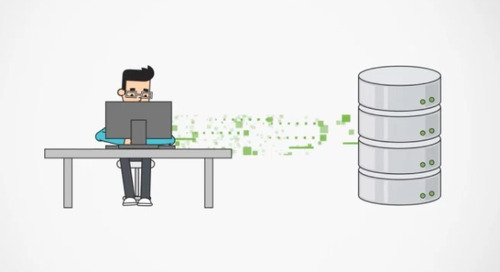 Connect to the database (using the address of the MongoDB server provided in the request body). The results from the promise returned by database.connect is passed to the function(s) in the first .then clause. 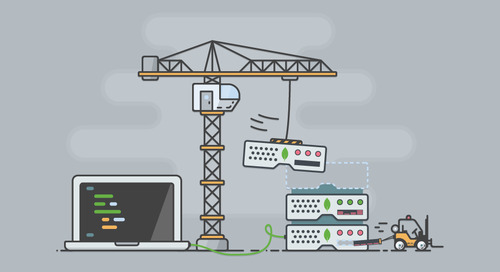 Refer back to Part 2: Using MongoDB With Node.js if you need a recap on using promises. The function in the .then clause handles the case where the database.connect promise is resolved (success). This function requests a count of the documents – the database connection information is now stored within the database object and so only the collection name needs to be passed. The promise returned by database.countDocuments is passed to the next .then clause. Note that there is no second (error) function provided, and so if the promise from database.connect is rejected, then that failure passes through to the next .then clause in the chain. The first is invoked if and when the promise is resolved (success) and it returns a success response (which is automatically converted into a resolved promise that it passed to the final .then clause in the chain). count is the value returned when the promise from the call to database.countDocuments was resolved. The second function handles the failure case (could be from either database.connect or database.countDocuments) by returning an error response object (which is converted to a resolved promise). The final .then clause closes the database connection and then sends the HTTP response back to the client; the response is built by converting the resultObject (which could represent success or failure) to a JSON string. In the first path, the client has requested that a fresh set of 1,000 example documents be used for each pass at adding a batch of documents. This path is much slower and will eat through your Mockaroo quota much faster. In the second path, just one batch of 1,000 example documents is fetched from Mockaroo and then those same documents are repeatedly added. This path is faster but it results in duplicate documents (apart from a MongoDB-created _id field). This path cannot be used if the _id is part of the example documents generated by Mockaroo. One way to debug a Node.js application is to liberally sprinkle console.log messages throughout your code but that takes extra effort and bloats your code base. Every time you want to understand something new, you must add extra logging to your code and then restart your application. Audit memory use, CPU, etc. 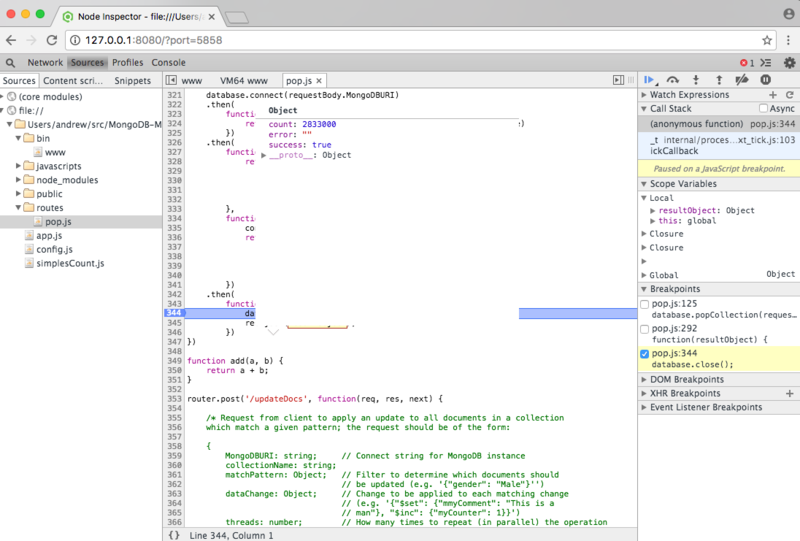 You open the Chrome DevTools within the Chrome browser using "View/Developer/Developer Tools". Note that this automatically adds a breakpoint at the start of the app and so you will need to skip over that to run the application. If you do, apply this patch to /usr/local/lib/node_modules/node-inspector/lib/InjectorClient.js. 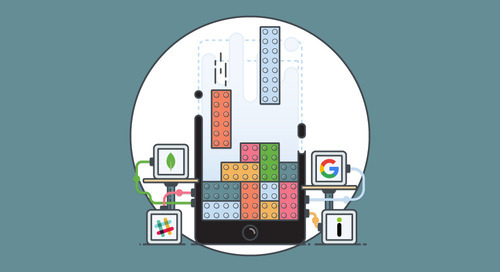 Part 1: Introducing The MEAN Stack provided an overview of the technologies that are used by modern application developers – in particular, the MERN and MEAN stacks. 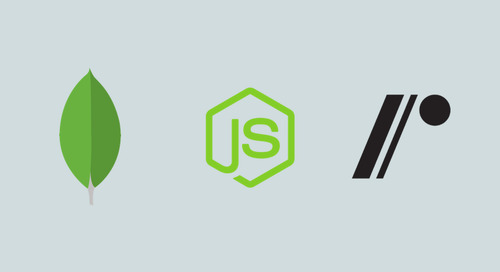 Part 2: Using MongoDB With Node.js set up Node.js and the MongoDB Driver and then used them to build a new Node.js module to provide a simplified interface to the database. This post built upon the first two of the series by stepping through how to implement a REST API using Express. We also looked at three different ways to test this API and how to debug Node.js applications. This REST API is required by both the Angular (Part 4) and React (Part 5) web app clients, as well as by the alternative UIs explored in Part 6. 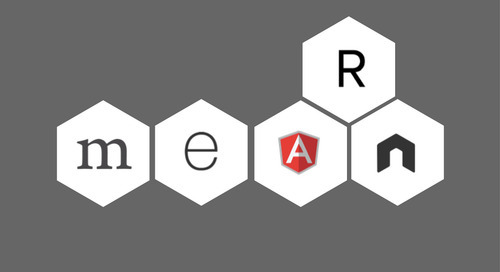 The next part of this series implements the Angular client that makes use of the REST API – at the end of that post, you will understand the end-to-end steps required to implement an application using the MEAN stack. 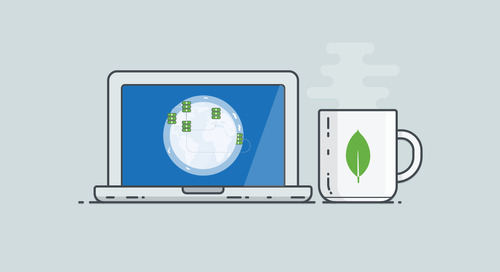 If you're interested in learning everything you need to know to get started building a MongoDB-based app you can sign up for one of our free online MongoDB University courses.